Born in Marseille, Mouron was the fourth child of a father “who wore make-up ” (an operatic tenor) and of a mother who was a singer-songwriter mother and a grandfather who was a comic-actor. Under the influence of the great artists of the golden age of French chanson such as Jacques Brel and Edith Piaf, Mouron fell in love with this style of music and at the age of 12 started writing her own chansons . She began her singing career with Michel Fugain and Le Big Bazar when she was barely 17. For five years, the group achieved considerable success in Europe and Quebec, notably in the famous Olympia Music Hall in Paris. 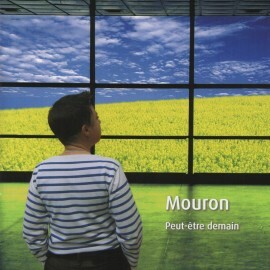 During this period, Mouron released two 45 rpm singles, which impressed the entire French music industry with Le Chemin de Papier (Paper Path) and Le Revers de sa Veste (Lining of his Jacket). Her solo career began in the 80s and was dotted with important encounters. 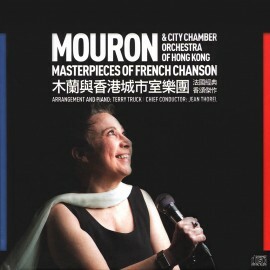 The first encounter was with the singer and composer Romain Didier, who clothed Mouron’s words with his music and thanks to whom she began to build her own repertoire. Then she met producer Jean Garetto, offered her the chance to sing every Sunday for three years at l’Oreille en Coin (Ear in a Corner), a famous radio show on France Inter listened to by 17 million people. Her career as an interpreter of the French chanson repertoire had begun. In the 90s, she was chosen by director Alfredo Arias to sing in the new Folies Bergere production, Fous des Folies (Madman of the Folies). 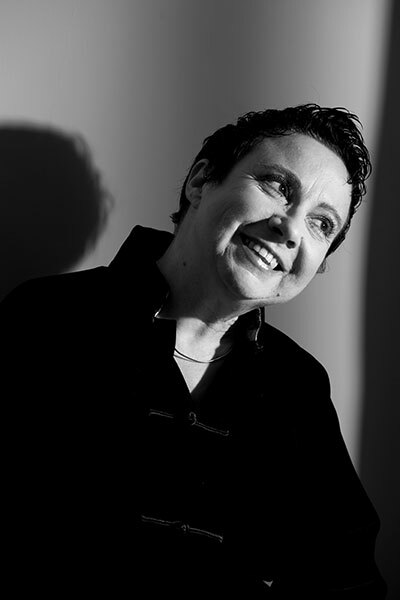 One evening in 1995, she had, by chance a fateful meeting in a small cabaret in Paris, “Le Piano Zinc”, where she met Georgette Dee and Terry Truck, two German Cabaret stars who then invited her to sing and produce in Germany. 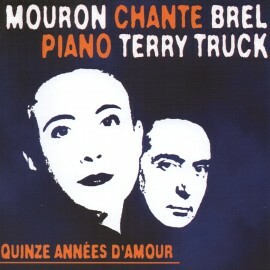 Terry Truck has become her musical partner since that first trip in Germany. They have toured around France, Germany, Eastern Europe, in Africa and especially throughout Asia in recent years. 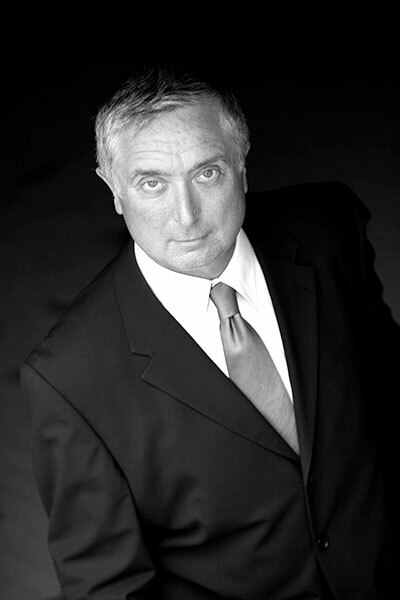 Mouron has released height solo albums and obtained the Charles Cros Academy Grand Prize for one of them. Terry Truck was born in England, near Manchester, but now lives in Germany. He studied piano from the age of 7 and received his classical training at Hull University. After meeting Georgette Dee in London, they began a musical partnership that has lasted over thirty years! They became one of the most famous cabaret duos in Germany and founded the CD label, “Viellieb Rekords”, dedicated to promoting Chanson and Cabaret Song. To date Viellieb Rekords has produced 33 CD’s. 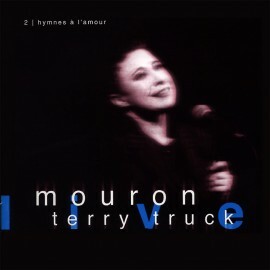 He met Mouron in Paris twenty years ago and began a collaboration that has so far included two Studio CDs, three live CDs and performances in Germany, France, Asia and the rest of the world. As a solo artist he has recorded and released two CDs: “Nocturnes” for piano solo and “Alone not Alone”, a CD of original songs. MOURON appears on stage and as soon as her pure and powerful renditions penetrate our hearts we’re aware hat we’ll never forget this particular evening. Absolut Mouron! Above all – there is MOURON. She is the goddess, the Star, the Diva of her craft. Soon MOURON will stand to be a synonym for chanson. Her new show is the total opposite of a regular show – transforms the audience into a state of frenzy and keeps them there for one and half hours. It’s her ….. the Diva of the Divas! A heart standing on two legs ” as an excited spectator put it. 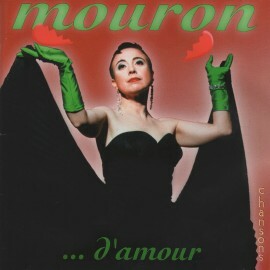 This new gift from heaven has a voice, a different silhouette and her name: MOURON. At first she makes you think of a reincarnation of Edith Piaf, but in fact she is totally different. She is a creature all her own. Little MOURON is among the greats. Her genre are high voltage songs, her voice thrilling and dominating. MOURON sings like she breathes. And how she breathes! There are very few singers capable of transforming this necessity into an art form. These days few are the moments which still enchant us. Little MOURON from Marseille achieves that exactely. Goosepimples are assured!